THIS FRAME IS CONSIDERED A MEN'S FRAME. IT WOULD BE A LARGE FRAME FOR MEN. IT MEASURES 5 5/8 INCHES WIDE AND 1 1/2 INCHES DEEP. Multi-View Computer / Reading Glasses with dual powered lenses for Clarity Up Close and at Arms Length. With NO Visible Lines! 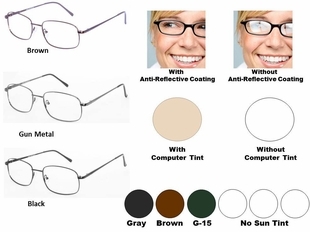 Available with options such as Computer Tint, Anti-Reflective Coating, and Sun Tints with Ultra Violet Protection. 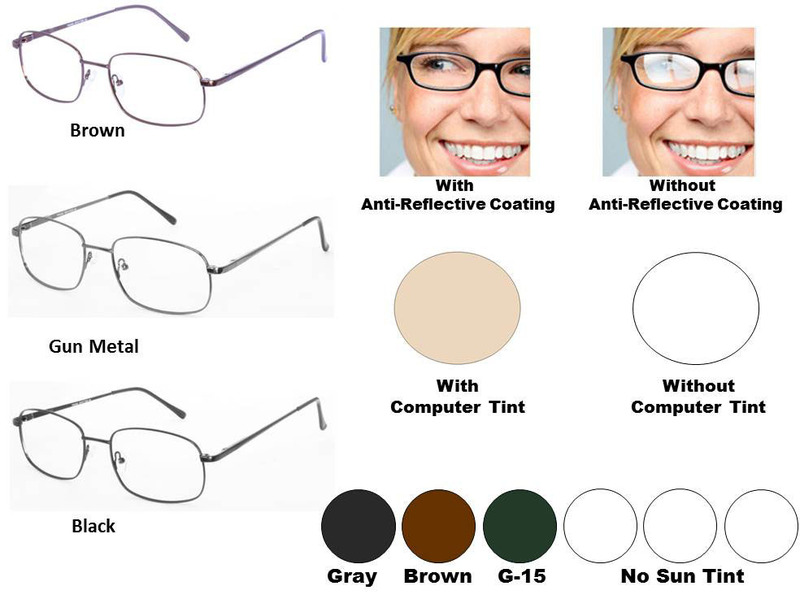 You may order Multi-View Glasses in your Custom Prescription for an additional charge. Just email us your Prescription.